The back page ad that launched his career, for Judy Garland. 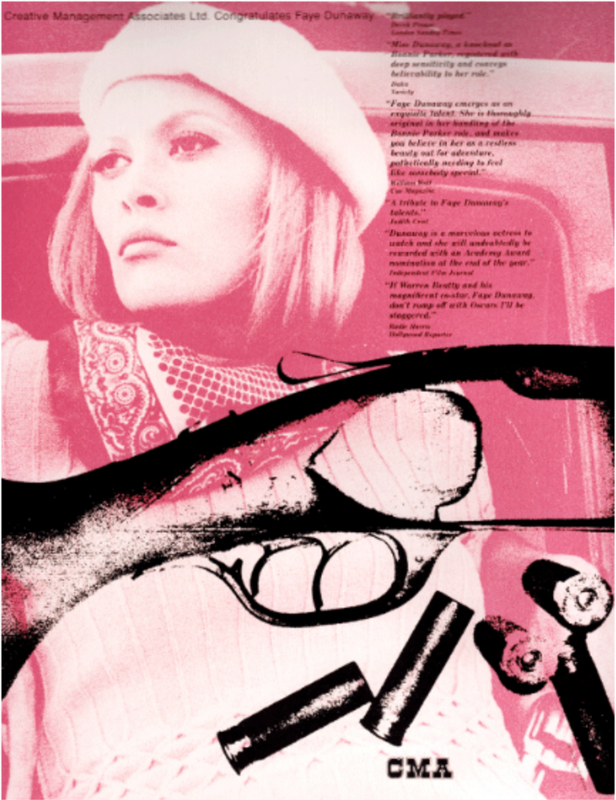 Trade Ad for Faye Dunaway in 'Bonnie and Clyde' (1967). The Solo cup logo and red cup color, designed by Sandy Dvore. 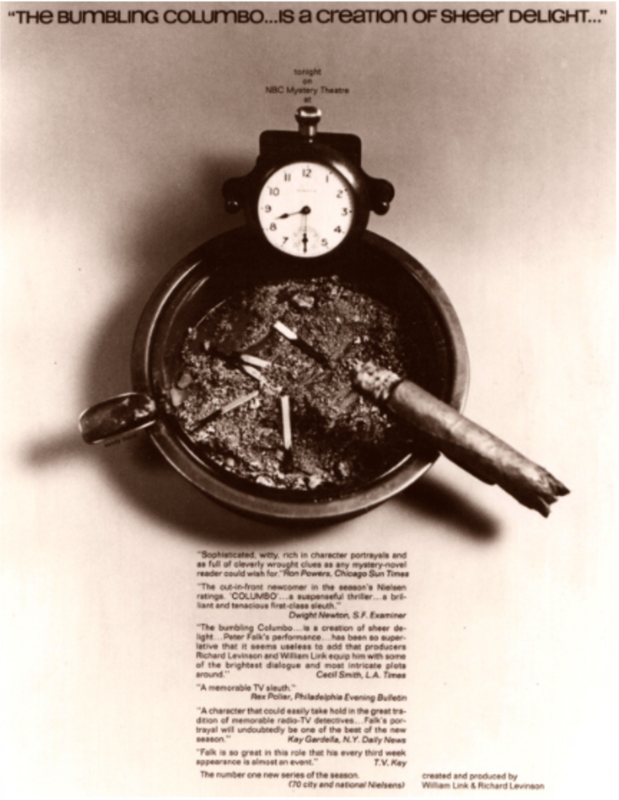 Trade Ad for 'Columbo' Television Series. Sandy's hand-lettered text for 'Scream Blacula Scream' (1973). The United Artists Logo The head of UA asked, "How would you like to put your work on fifty years of great film making?" IM Agency announcing the representation of David Bowie. Original prototype of a Diana Ross trade ad. Logo for "The Young and the Restless"
The logo for 'Knots Landing' TV series. One wall of Sandy's living room, covered with his own work. Sandy's living room - the oil painting was the first one he made in art school, of Chicago in the winter. Another art-covered wall in Sandy's living room. His artwork also paper the walls in his studio. More examples of Sandy's many decades of creation. As I’ve written here before, with this series of interviews I have been seeking out cultural creatives who have not only achieved great success in their careers, but who have intentionally molded their lives around their passions. Sometimes this is by creating the opportunities for themselves, and sometimes by leaping at the sudden luck and allowing that to guide their lives. For my latest guest, legendary graphic artist Sandy Dvore, a pick-up baseball game changed his life. From poverty and depression to the most talked about artist in Hollywood within a couple weeks, it’s an overnight success story built on the years of toil and stress he endured beforehand. Though you might not recognize Sandy Dvore’s name, you would know his work. As a titles designer, he created the opening credits for television shows that helped shape American culture—The Partridge Family (1970 - 1974), The Waltons (1972-1981), The Young & the Restless (1973-1988 drawings and 1984-1999 logo). By developing the visual language of TV and film credits in the 1960s, 70s and 80s, Sandy’s work helped create the lens through which we see America in those decades. Originally from Chicago, Sandy thought of art as just a pastime growing up and went to college for pre-med, though a zoology teacher swiftly recommended a change of majors when he saw his anatomical drawings. Highly creative and original, Sandy found the tight strictures of art school and the Chicago advertising world of the 1950s too confining, and he escaped to LA to pursue acting. A few years of limited success left him broke and depressed, seeking an escape. Though set on leaving LA and the entertainment world, a chance encounter while playing baseball had him suddenly rediscovering his long-forgotten art skills. Within weeks, the highly coveted back pages of The Hollywood Reporter and Variety were reserved by the top talent agencies exclusively for his vibrantly illustrated ads. 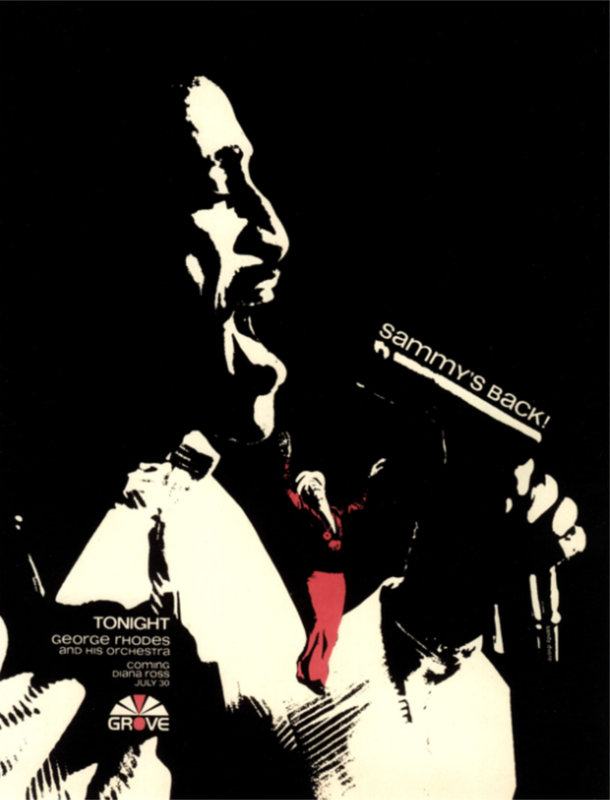 Sandy’s ads became the talk of the industry as he illustrated the most important news in Hollywood. His first ad was for Judy Garland; he went on to illustrate ads for every megastar in entertainment—Frank Sinatra, Dean Martin, Sammy Davis Jr, Steve McQueen, Faye Dunaway, David Bowie, Mick Jagger and on and on. This work led to special projects—like designing the now iconic red Solo cup—album covers, corporate logos, and then movie and television credits. Dvore has designed title sequences for films including Wild in the Streets (1968), Skidoo (1968), Three in the Attic (1968), The McMasters (1970), The Dunwich Horror (1970), Blacula (1972) and its sequel Scream Blacula Scream (1973), as well as television series Skag (1980), Falcon Crest (1981 -1990), and Knots Landing (1987-1989). What stands out about all of his work is the creativity and sheer breadth of different media and styles. A skilled draftsman, he easily moved from detailed graphite and ink portraiture to graphic abstract forms, cute cartoons and bright splashes of paint. He approached creating hundreds of back pages a year as his own personal art show—an opportunity to try new things, push the boundaries of advertising, and show off his skills in a multitude of different media to all of the power players in entertainment. This conversation centers not just on the highs of achieving career success—winning the 1987 Emmy for Outstanding Graphic and Title Design for his work on the Carol Burnett TV special Carol, Carl, Whoopi and Robin, featuring comedy greats Carol Burnett, Whoopi Goldberg, Carl Reiner, and Robin Williams—but also the sadness of what comes after. Sandy openly shares about how the entry of computers into design in the early 1990s changed everything for him—the traditional ways of approaching graphics became unpopular and unwanted almost overnight, effectively ending his career. As taste and technology changed, the highly skilled and highly celebrated like him were left behind and forgotten in the rush for the new. Living alone in the same West Hollywood apartment, Sandy is surrounded by his artworks, his awards, the fruits of a successful career, yet he has also faced incredible loneliness and depression. What do you do when you’re still capable but no one wants your work? He’s fought to maintain his creativity by drawing every day—filling notebook after notebook with caricatures, illustrations and text detailing every thought, memory and event that passes through his mind. Our conversation became a meditation on the creative process, the ups and downs of success, and, I think, also a worthwhile antidote to our culture’s obsession with youth and newness.